I picked up my copy of ‘How Not To Be A Boy’ desperate to finish it before I saw Robert Webb speak about the book at Off The Shelf Festival. Off The Shelf is a festival in Sheffield that has brought the most prestigious names in literature and art to the North since 1991. But that takes free time and I feel like most of 2017 wasn't dedicated to reading. Although I didn’t finish it on time for the event it gave me more perspective on the personal basis of the book rather than the themes it presents. I will say there are a few spoilers if you carry on reading. Not sure if you can call it a spoiler when it’s someones life but there are some so if you want to save it stop reading now. 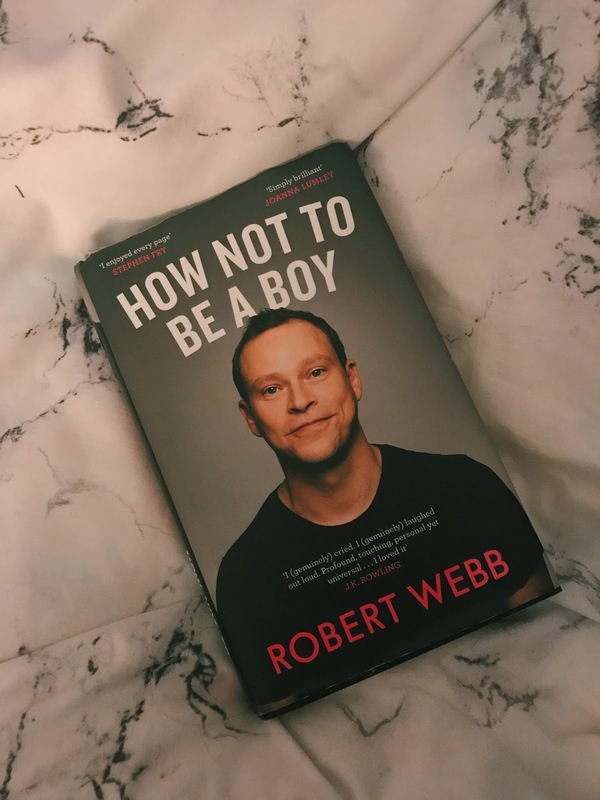 ‘How Not To Be A Boy’ is Robert Webb’s memoir, a personal story that has resonated with so many people that is has left ripples, giving people the confidence to talk and open up discussions about socially constructed gender. 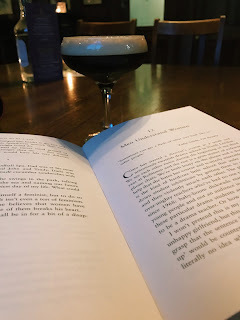 From growing up in a working class family in Lincolnshire to his days at Cambridge University and fatherhood Webb’s memoir brought me to tears through laughing and crying. From the beginning it is clear that Robert Webb did not fit into the masculine constructs he was presented with as a boy: don’t cry, don’t discuss feelings, don’t be gay, love sport, fight etc. From this point we follow him as he navigates his own masculinity and the effects this has as a child as he tries to fit into these confines and the frustrations of his experience. With these abstract ideas at the back of my mind after hearing Robert speak you see them forming the thematic basis of the book behind the story. With the ways in which Robert dealt with how to be a boy throughout pitted against each other, how he actual felt and felt like he wanted to behave against what society expected him to do. And these feelings only got harder to comprehend as he got older. Robert’s mum passed away from breast cancer when he was seventeen. Before this time she had divorced Robert’s dad and met Derek, a simple man that meant Robert was left with two dysfunctional male role models to support him. From here you can see how Robert was consumed by self doubt and self loathing as he began to struggle with many aspects of his life, and most detrimentally the effect it had on his school work. Self loathing and self doubt saw him struggle through his A Levels and dreams of Cambridge University pushed as clear anxiety and depression throws him between constant worry about not doing work to not being able to see the point in any of it. But what comes from the eventual success of getting into Cambridge University is by his own admission arrogance and bad behaviour towards women as he took on traits that he thought he should have rather than what he felt. 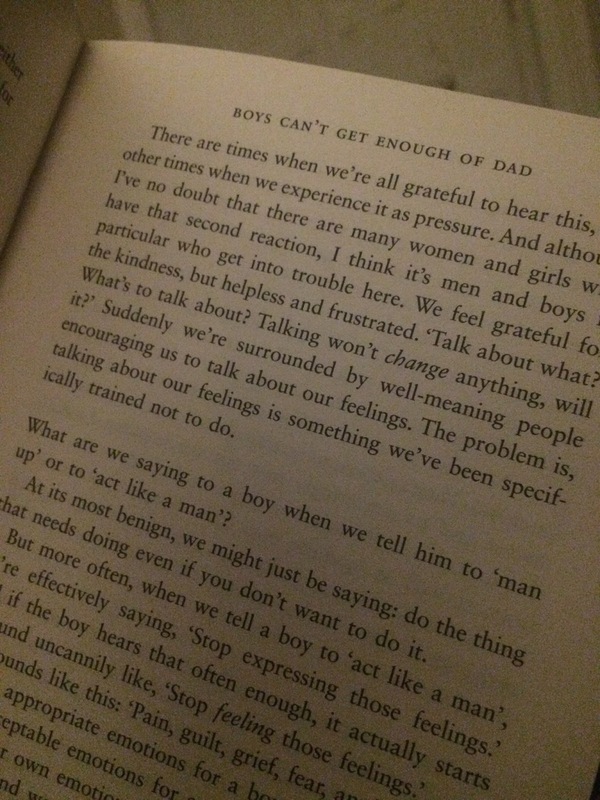 It is clear throughout ‘How Not To Be A Boy’ just how damaging forcing a child to fit into gender confines can be, in this memoir of development it shows how from a young age we are told we are meant to feel and behave in a certain way and this shows just how difficult it can be to grow up being told this but also the detrimental effects it has on our development. Between the story there are jumps in time as Webb has with conversations with himself, two Roberts of different ages, like he's using the Delorian to share his own words of wisdom. To read it is hilarious but it’s like a support network that Robert didn’t have. These conversations are also met with unedited sections of his diary, always built up with an expected cringe factor and an honest introduction that there we no changes made to the excerpt. As if all the humour in the book is at Robert’s expense and although its does make you laugh it comes with a sadness. 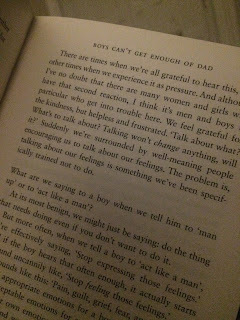 Robert Webb’s honesty in ‘How Not To Be A Boy’ is opening conversations. Everyone deserves a platform to discuss their problems, regardless of gender or we will never make it to equality and having Webb unpick the social constructs of femininity and masculinity through his own story is part of this. There are themes under this book, locked in this honest personal story that resonate with others and giving them the confidence to talk. But when he spoke at Off The Shelf I felt that some of the questions were loaded as if this was just a male platform rather someones life. It is when people are critical of someones life when they can only see the themes it makes it difficult to see what a great step forward ‘How Not To Be A Boy’ is. It is amazing that respected men are opening up this conversation and proving it is okay and normal to discuss and not be defined by words preloaded with toxic outdated gender constructs. 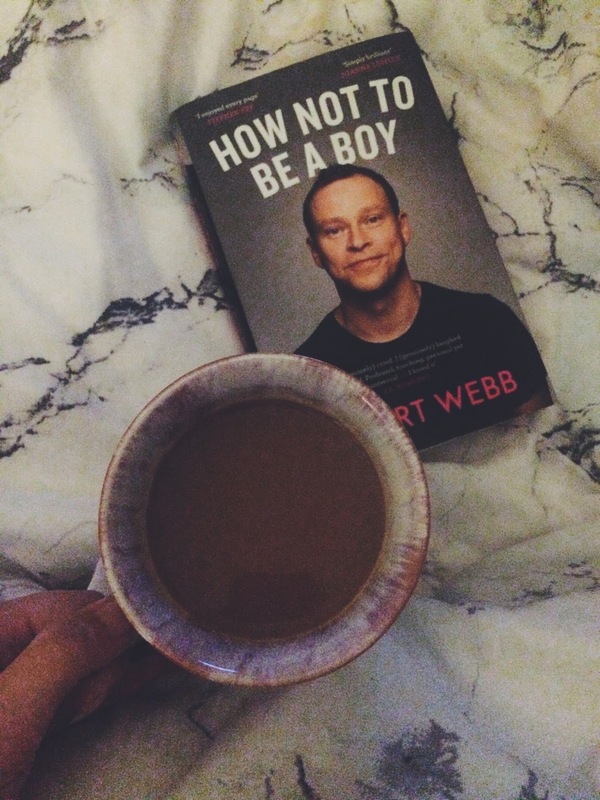 ‘How Not To Be A Boy’ is hilarious and heartbreaking as it explores a life that has made Robert Webb who he is. His honesty in the awful moments bring shock and laughs but face underlying problems. We see as Webb grows up everything he has learnt and as he gets married and has two daughters it has changed him even more. I feel like he is finally beginning to accept himself at the end of the book rather fighting to fit the expectations of his younger self.. I really enjoyed ‘How Not To Be A Boy’ and recommend it to everyone, not just Robert Webb fans but anyone who has never quite felt like they fitted in the way they were told to be. As you go along this journey with Robert in the book it made me think of everything I have grown up thinking I should do, behave and act and has really helped me to reflect on the person I am today. Pick up ‘How Not To Be A Boy’ on amazon here.